Willowood Abamectin 0.7SC is a water based, low volatile organic compounds (VOC) high active ingredient (a.i.) version of abamectin. 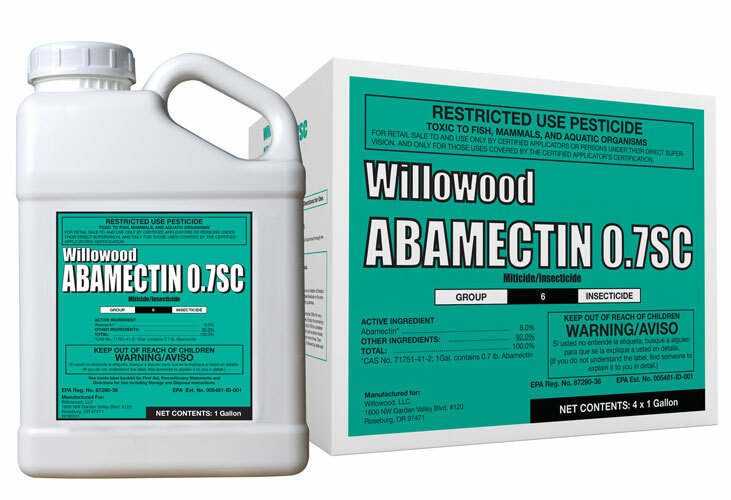 Combined with the convenience of flexible timing and application methods, Willowood Abamectin 0.7SC is an excellent choice for outstanding, economical mite control in a wide variety of crops. It also serves as a solution for use in areas where VOC regulations are in place. AGRI-MEK SC® is a registered trademark of Syngenta Group Company.